Dr. Cliff Davidson is the Thomas and Colleen Wilmot Professor in the Civil and Environmental Engineering Department at Syracuse University. He serves as the Director of the Center for Sustainable Engineering at the Syracuse Center of Excellence in Environmental and Energy Systems. 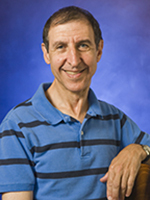 He spent 33 years at Carnegie Mellon University conducting environmental research prior to his move to Syracuse in 2010. Dr. Braden Allenby is the Lincoln Professor at Arizona State University, and has appointments in Civil and Environmental Engineering, and in Law, at ASU. Until 2004, he was the Environment, Health, and Safety Vice President for AT&T. 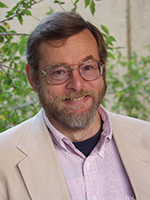 He had previously served as Director for Energy and Environmental Systems at Lawrence Livermore National Laboratory and J. Herbert Holloman Fellow at the National Academy of Engineering. Dr. John Crittenden is the Director of the at Brook Byers Institute for Sustainable Systems the Georgia Institute of Technology. He also holds the Hightower Chair in the School of Civil and Environmental Engineering and is a Georgia Research Alliance Eminent Scholar in Environmental Technologies. His research expertise includes sustainability, pollution prevention, physical-chemical treatment processes in air and waste water, and modeling of fixed-bed reactors and absorbers. 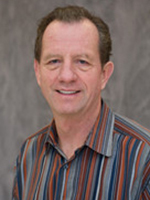 Dr. Crittenden is a member of the National Academy of Engineering.